Today, the majority of fishing enthusiasts use hooks or standard nets, which might injure a fish. 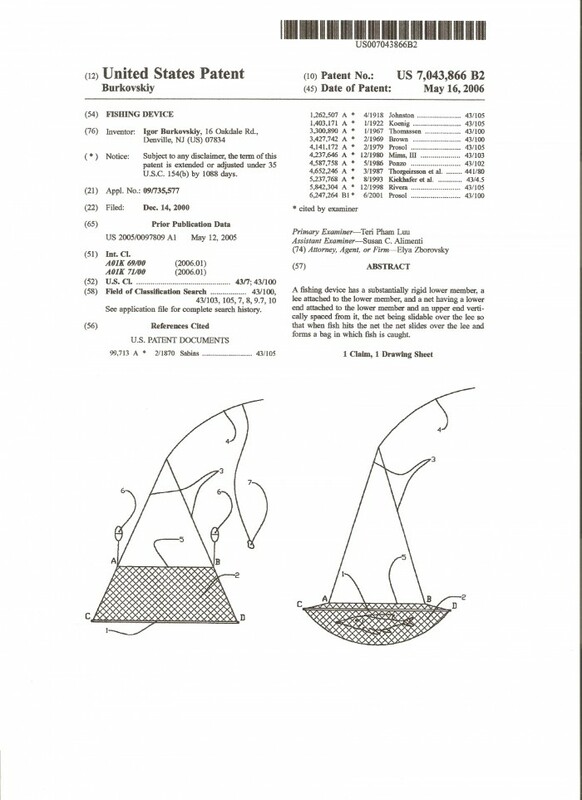 Patent presents a cast new device that works differently. This unique net, envelops the fish and cradles the fish gently, until you transfer the catch into your container or release it. Our net allows you to release your catch without removing it from the water or touching it with your hands. The device increases the chances for successful fishing. 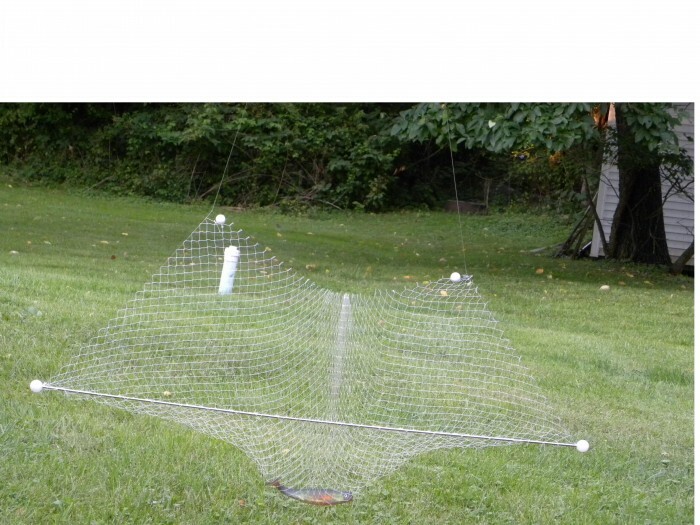 This net is ideal for sport fishermen. Easy to operate, no skill required. Most fishermen get excited watching the device demonstrations because of its effectiveness and innovative system of operation. Retailers, in New York fishing exhibition, like this net very mach. Most of them wanted to buy the net. Big trader, which sells through TV show Home Shaping Network and has its own line in most of America store interested to buy the net. 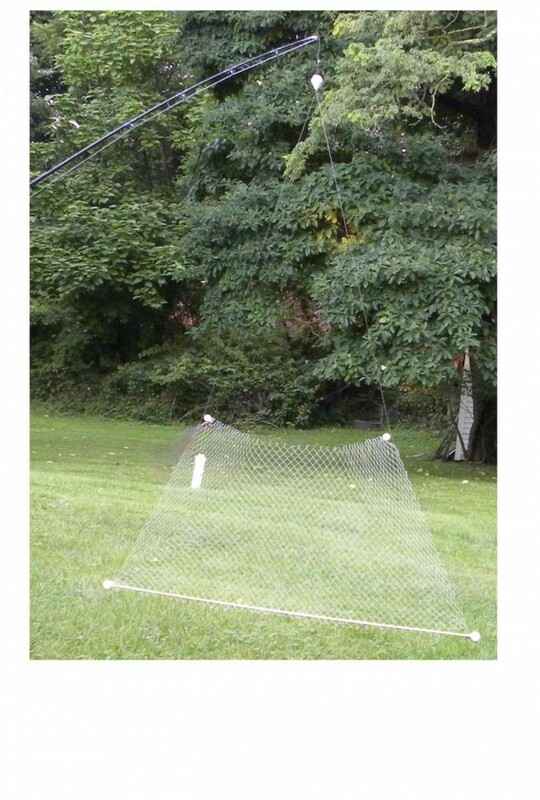 Also is ready manufacturing for these nets. Fishing device was sold for 50$ per piece. 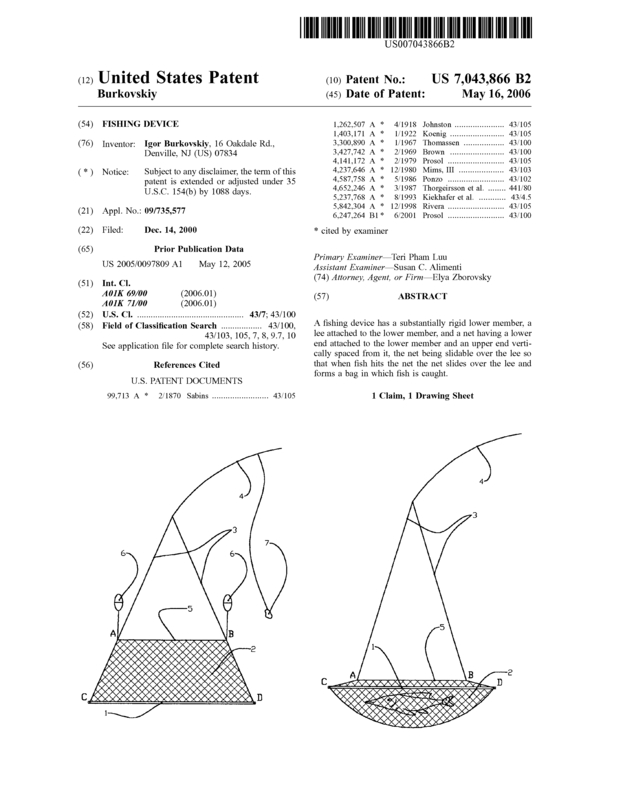 Page created at 2019-04-25 10:19:11, Patent Auction Time.